This paper explores secularity—and its limits—in the tradition of vipassana meditation established by S. N. Goenka. With fulltime meditation centers in at least 25 countries and periodic retreat offerings in many more, Goenka must be credited as a major figure in the globalization of Buddhist meditation. The fact that he teaches what has been called “secularized meditation” is almost certainly a factor in this spread. 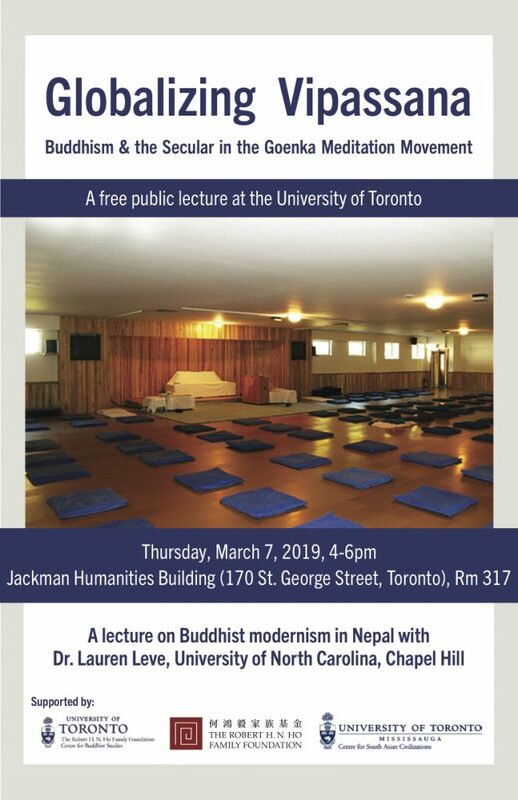 Yet, while Goenka’s rationalism, empiricism, and unambiguous rejection of the notion that vipassana is Buddhist reflects a solidly secularist epistemology, other qualities of his practice suggest different commitments and may contribute to unexpected subjective forms. Given key scholarly understandings of secularism as a type of disenchantment (that is also associated with the rise of liberal democracy), what questions does looking at it through the lens of the Goenka movement raise?